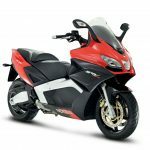 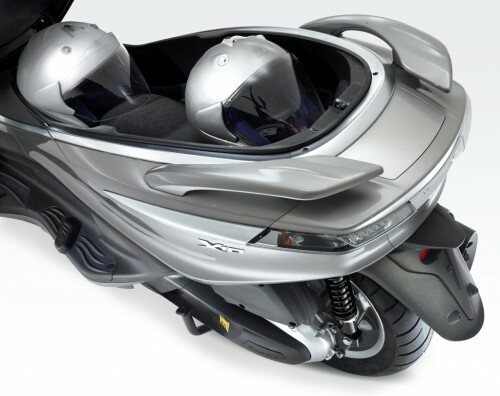 The Piaggio X10 slipped a little under the radar at the 2011 EICMA show behind other maxi-scooters such as Yamaha’s T-Max, BMW’s C650GT and C600 Sport and Piaggio’s own Aprilia SRV850. 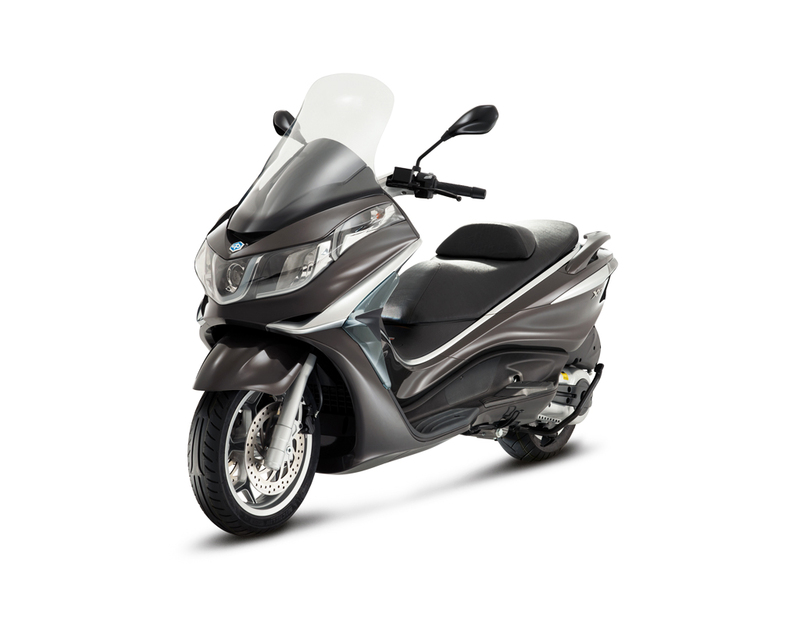 But take a look at some of the features Piaggio’s slapped onto the X10 and you’ll soon learn it’s not to be underestimated. 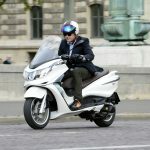 The new flagship of Piaggio’s “Gran Turismo” scooter family, the X10 is equipped with anti-lock brakes anti-slip regulation (i.e. 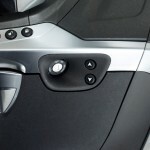 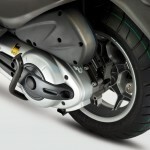 traction control) and electronically adjustable rear suspension. Piaggio has already introduced ABS and ASR on the Beverly 350 (though the U.S. version, the BV350, won’t have either feature), but electronically adjustable suspension is new. 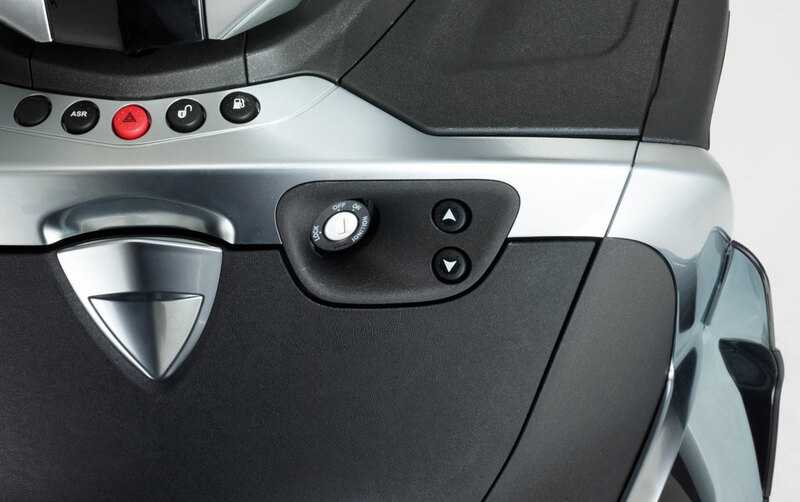 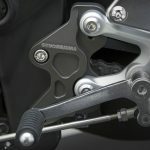 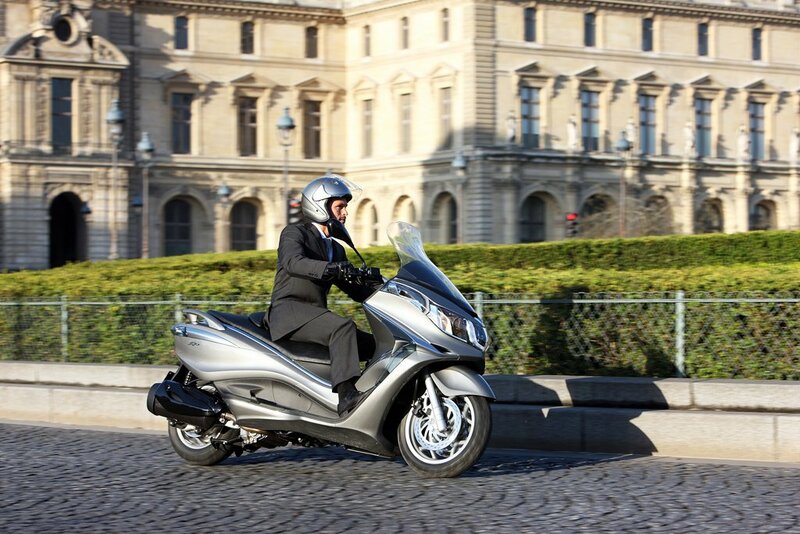 Available on the 500 version of the X10 (Piaggio’s also offering 125 and 350 versions), riders can adjust the preload on the rear suspension with a pair of buttons located on the leg shield near the ignition key. 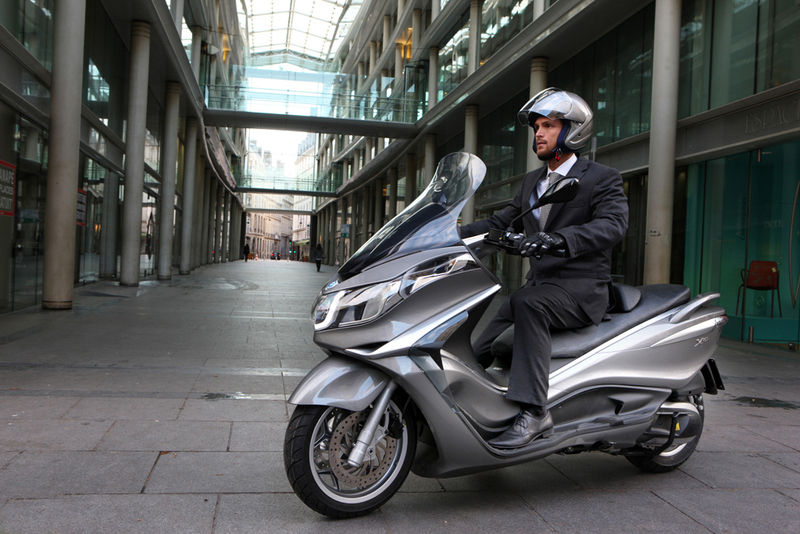 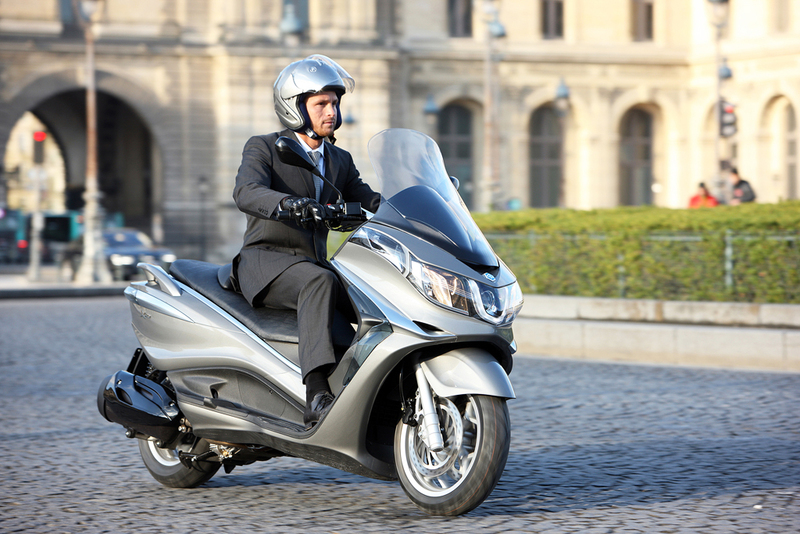 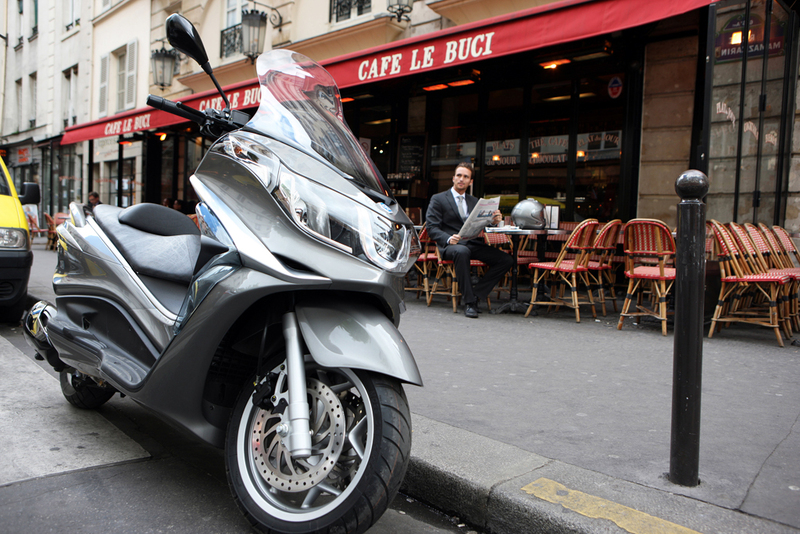 The 500cc Piaggio X10 is also equipped with a 41mm telescopic fork. 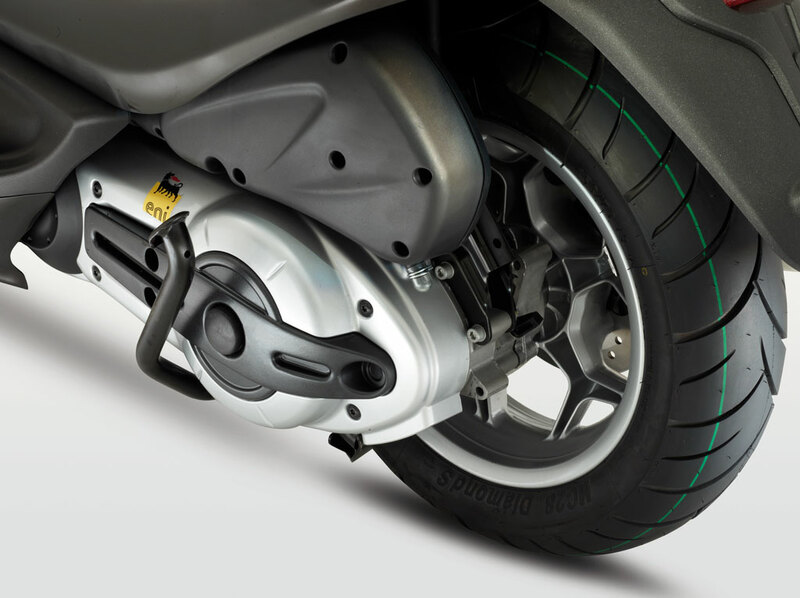 The 350 and 125 versions use 35mm forks with dual rear shocks with four conventionally adjustable spring preload settings. 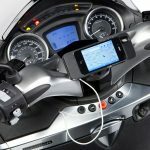 Other features include a backlit four-inch LCD display, a USB port for charging cellphones and an adjustable lumbar cushion. 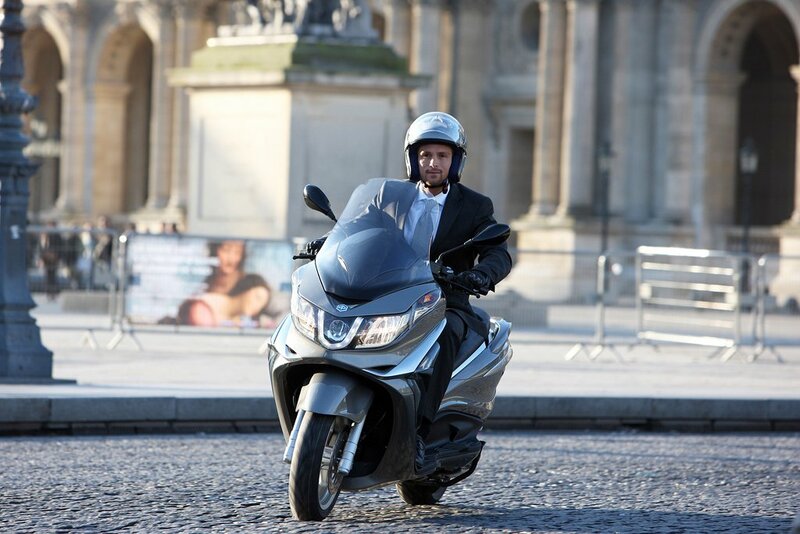 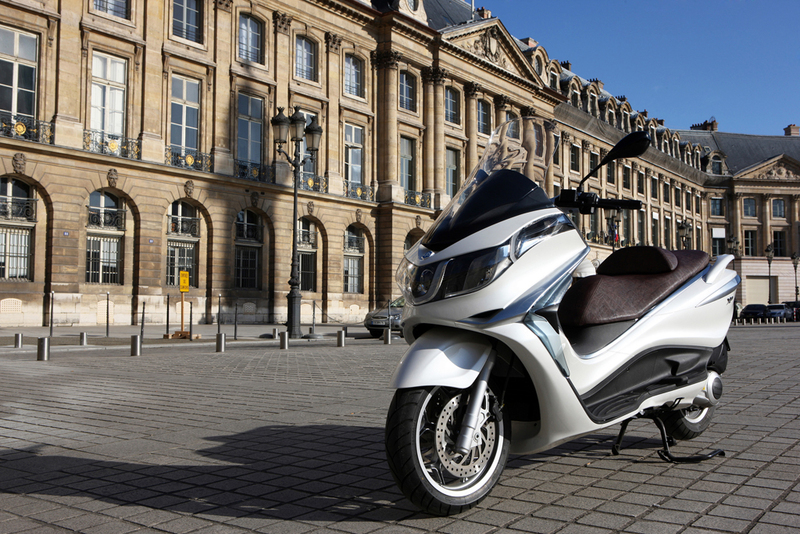 The 500 version (actual displacement is 493cc) claims an output of 40hp and 34 ft-lb. while the 125cc version claims 15hp and 8.9 ft-lb. 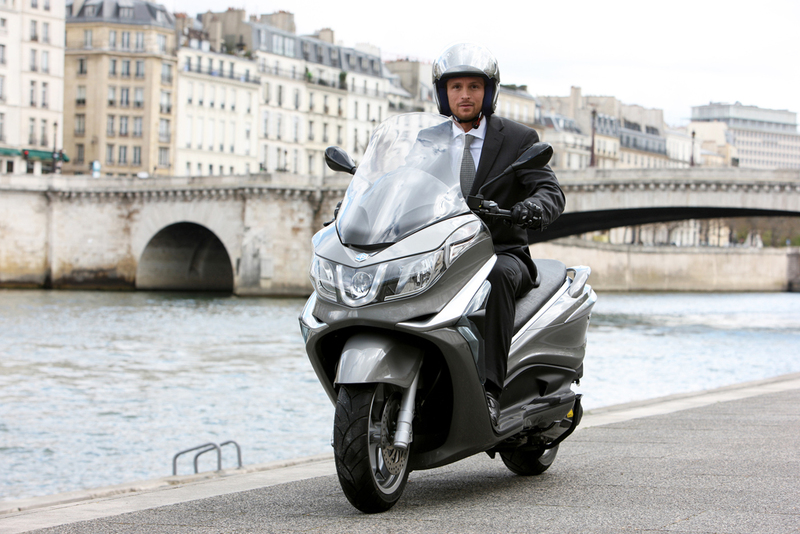 The 350 version however uses Piaggio’s next-generation engine. 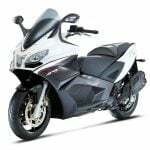 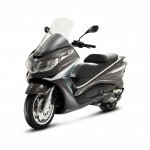 The 330cc powerplant was designed to offer performance, fuel efficiency and easy maintenance. 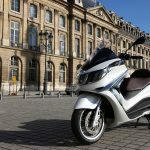 Piaggio claims a power output of 33 hp and 24 ft-lb., while maintenance intervals are scheduled for every 20,000 km (12,427 miles) with oil changes spaced every 10,000 km (6,213 miles). 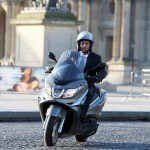 The 350 version will also offer two ECU maps. 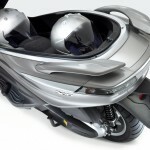 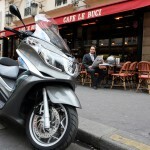 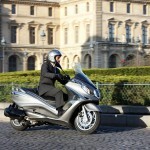 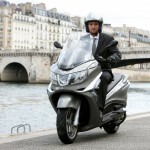 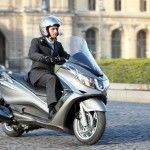 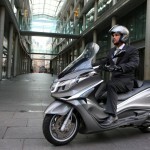 The 2012 Piaggio X10 will be available soon in Europe but North American availability has not been announced.